Editor in Chief of The Oslo Times Mr. Hatef Mokhtar with the Ambassador of Bosnia – Herzegovina at the Embassy in Oslo, Norway. First of all, The Oslo Times (TOT) is honored and privileged to be able to have this session with you. We really appreciate you for managing time amidst your busy schedule for us and our readers worldwide, who would be reading this interview as we publish it on our website. TOT: Bosnia–Herzegovina has come a long way from its tumultuous beginning after the dissolution of Yugoslavia followed by the bloody Bosnian War. Shedding its communist past, it started a journey on the path of democracy and set its sights on greater involvement with the international community adopting policies and agendas accordingly. How far do you think the country has been successful in acting within the democratic political framework? Going a little back, was this transition from communism to democracy in the best interest of the common people, and if so, how? Ambassador: First I would like to thank you for this opportunity to speak for this prestigious media. I would like to congratulate for your efforts to promote the universal values of freedom, peace and democracy, through your media. Now let me answer to your question. Fall of the Berlin Wall in autumn 1989 signaled the end of the ideology of single-mindedness at the world political scene and awakened the hope of many people who have been victims of political mindedness which we recognize as communism. It was a historical process of world-wide politics and my country did not, nor it was able to influence the development of these events. My country was naturally affected by these changes. Freedom and democracy are awaited with enthusiasm among the people of my country. Bosnia and Herzegovina just like other countries, in these new circumstances demanded its place on political scene. Unfortunately, as is well known, Bosnia paid the highes price of change. Today, we can say that the people of Bosnia and Herzegovina like majority of people in the world is enjoying fruits of freedom that they have voted for. Price was expensive and infinitely costly, but between slavery and freedom we have chosen freedom, and today we are proud of it. Peace, freedom and democratic values that is heritage of our society for 17 years now are the greatest benefit enjoyed by the citizens of Bosnia and Herzegovina. TOT: What are the major challenges that politicians of Bosnia–Herzegovina had faced, and are still facing, in their bid to make the country more democratically vibrant and adopt pro-people policies befitting a sovereign nation? Ambassador: Bosnia and Herzegovina is a country in transition. This process of transition undergone by many countries of the Eastern bloc in the case of my country takes place more slowly. The reason for this is that the consequences of the war brought with it many material as well as spiritual harm. Consistent implementation of the peace agreement (Dayton Peace Accord), dealing with the consequences of the war, the preservation of peace and reconciliation among the nations, the transition from the state and public property to private owned properties and the setup of a market economy are some of the most pressing challenges that leadership of my country is facing. In addition to all those elements mentioned above the biggest challenge is also how to overcome the consequences of the global economic crises that is affecting my country as well. 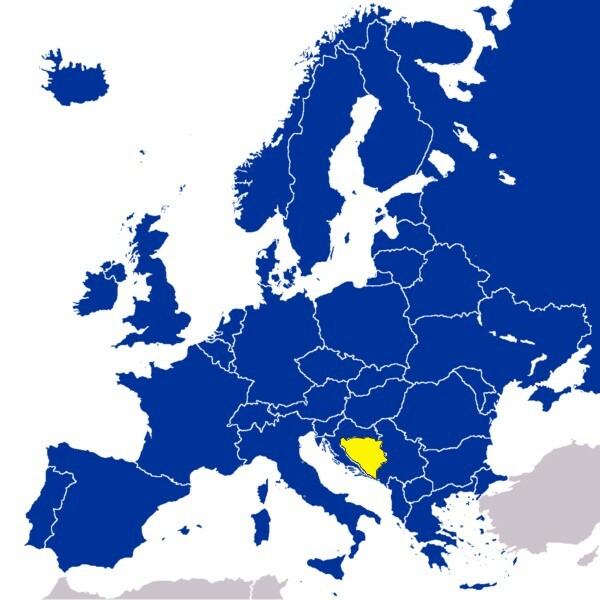 TOT: Bosnia–Herzegovina is a potential candidate for the membership of the European Union and has been a candidate for NATO membership since April 2010. In your opinion, what are the major areas of development in which the country has made significant strides bolstering its confidence to apply for the memberships? Ambassador: BiH is today recognized as a modern European country that is trying to meet as soon as possible all the necessary requirements for become a member of two respectable global alliances such as NATO and the EU. We are half way gone in achiving those goals. The same proces are undergoing the other states of Former Yugoslavija, and Croatia will this summer become a member of EU. In a case of my country the greatest success of all this effort lies in the fact that there is full political consensus of all the political actors regarding our way to EU and NATO. This is very important in the case of Bosnia and Herzegovina having in mind its demographic structure of the population. Joining NATO and the EU are the main priorities of our foreign policy. TOT: How far do you think the country has been on the track after becoming a member-state of the Council of Europe in 2002 and consecutively the founding member of the Mediterranean Union in 2008? Ambassador: Our membership in these organizations will confirm the commitment of my country to be equal and active member of the European Union and the Mediterranean Union, since geopolitically we belong to both. It will also confirm that we are ready to share the same European democratic values with the other member states of EU. Membership in the Mediterranean Union is part of our commitment to develop regional cooperation and thus contribute to improving the overall bilateral relations between the countries of the region. TOT: Bosnia–Herzegovina has come a long way since its independence in 1992 and is now being looked at as one of the strategically important countries in the region, paving the way for forming and deepening strategic cooperation with various power blocs including NATO. a.) After NATO’s recognition of Bosnia as a potential candidate for its membership, how does the country plan to carry forward relations with the western military alliance and what benefits can it achieve in the process? b.) If Bosnia becomes a full-fledged NATO member, will it have any effect on the relations with Russia and other erstwhile countries of the Soviet bloc? Ambassador: Well you’ve noticed it correctly. Bosnia is one of the strategically most important countries in the Western Balkans. As result of this we are putting all our efforts in our primer political interest and priority of the first category and that is peace. Peace is needed for every citizen of Bosnia, of the Western Balkans, of Europe and the World. Because of the known historical circumstances this part of the world deserves the establishment of such political relationships and alliances that will guarantee the long-term, stable and lasting peace. This is not only important for Bosnia but for the region as a whole. NATO is not only military but also political alliance because most of the countries of the European Union are also member states of the NATO alliance. Interests and goals are identical, and they are to provide a sustainable, long-lasting and stable peace. Given the fact that this region geopolitically belongs to Europe, it is understandable why we are moving towards European integration. In addition to all this, I have to be honest with you and to let you know that my country in order to achieve this goal needs support and help of international community. It is important to underline the fact that we want to build a partnership with NATO, because we believe that we can contribute to the peace in the world together with other member states. The fact that our troops are already participating in peacekeeping missions around the world, proves our willingness to contribute. Also, I’m quite sure that this will not affect our very good relations with Russia and other former Eastern bloc countries. We do not want to compromise our good relationship with East but to further develop good relationship with West as well as with East. In addition to all this, I wonder who would not want peace in Bosnia and in the Balkans, the peace that brings every kind of prosperity and well-being?!? 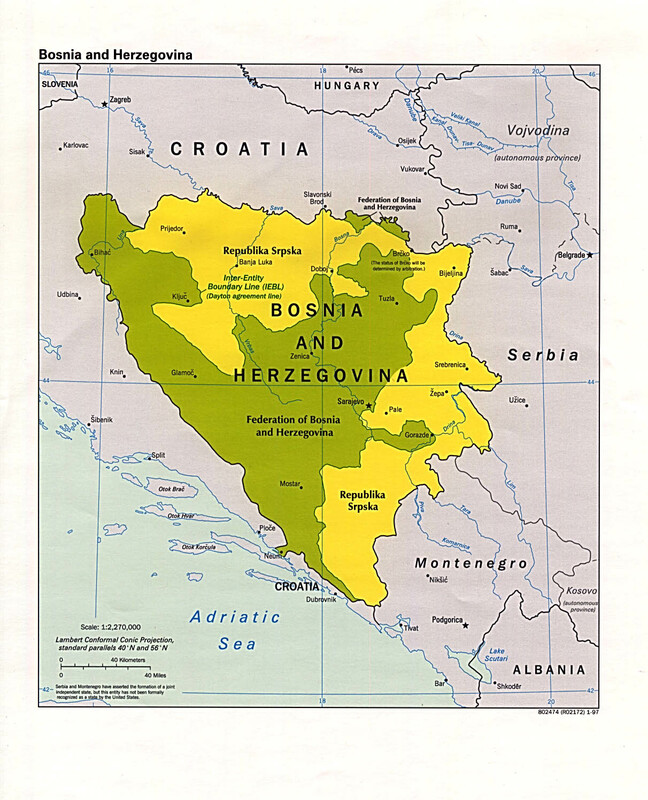 TOT: Bosnia–Herzegovina has successfully resolved nearly all its territorial disputes with the neighboring countries, but there are still deep-seated ethnic tensions with Croatia, Slovenia, and Serbia, particularly with Serbia, with whom its diplomatic relations are still sensitive. a.) So what are the reservations that Bosnia–Herzegovina seeks for its ethnicities in these countries to dial down the tensions? b.) How much progress has been made in establishing diplomatic relations with these countries which were once parts of a greater conglomeration called Yugoslavia? Ambassador: Unfortunately, it is not possible to objectively answer this question in a few sentences. I would like to emphasize that the establishment of long-term stable and good bilateral relations with our neighboring countries, particularly Croatia and Serbia, is as important priority, as it is our effort to join the EU and NATO. Simply there is future without resolving all outstanding issues with Croatia and especially with Serbia. I think that there is no need to elaborate all this. These goals we are trying to achieve both bilaterally and multilaterally through various forms of regional cooperation. We have achieved a lot until today and we can be happy with that. For almost two decades we have resolved the issue of communication, where we have a free flow of people, goods and capital. All this is a prerequisite for our good relations. We have also signed many bilateral agreements which resolved many fundamental political and economic issues of our bilateral relations. Every day these relations are getting better. It’s hard to build a future when the past keeps reminding you. Our main difficulties are related to our recent and unfortunate past. There are still a lot of prejudices about what has happened, what is true and what is not. However, we try to rely on a single phrase which reads:” If we can not agree about our past, we have to agree about our future”. To conclude all this, when it is up to our relations with Croatia and Serbia, my country always gives priority to political dialogue that contributes to peace and reconciliation between our people, based of equality among states. Having in mind all sacrifice that people in Bosnia and Herzegovina went through, and in particular the Bosniac nation in Bosnia, we are particularly sensitive when someone in any way is questioning our sacrifice. We will never allow anyone to question the price of peace and freedom that our citizens have paid with their lives, and which we now enjoy in Bosnia. TOT: Bosnia–Herzegovina has growing bilateral relations with Norway. What are the areas of interests in which the country seeks cooperation from Norway? Ambassador: Our bilateral relations with Norway, especially political relationship, are on a very high level. There are no outstanding issues between our two countries. In particular we are grateful for all support and effort that they are providing us with in order for us to join NATO as soon as possible. As an important member of NATO, Norway’s contribution is of particular importance for us. The concrete support of Norway during the war reflected the great humanitarian assistance, and after war period Norway helped us in reconstruction of country’s infrastructure, and even today they are helping us in various forms of establishing democratic institutions and in reform of local government. On the other hand, we must not forget 15 000 BiH citizens who are living in Norway today. They are all on daily bases through their work contributing to our friendly relationship with Norway, since they are loyal to Norway and they are obeying lows of this country. Today, both sides work hard to improve our economic relationship and there are many opportunities, especially in the field of tourism, energy sector, wood and metal industries. 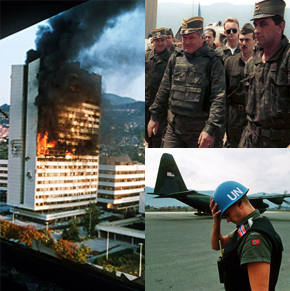 TOT: After the collapse of Yugoslavia, Bosnia–Herzegovina suffered one of the bloodiest armed conflicts in the human history that saw thousands of innocent people killed and nearly a million displaced. With this background in perspective, how do you think the Bosnians see the developments taking place in Syria, Congo, Mali and Afghanistan where thousands of people are being killed and millions being displaced within their own homelands? Ambassador: I wish that my country never had the experience that you mentioned. My country and its people understand very well the tragedy through which the people of those countries in a war that you are mentioning are going through. Unfortunately, the list of countries where are brutally violated basic human rights is much longer. We as individuals unfortunately can not do much but to sympathize with them. Of course, through our multilateral diplomatic activity we are trying to contribute to the establishment of peace in all the countries where it is needed. Today, small and weak states are not the key factor in establishing peace in the world. Throughout history and even today, it was always a privilege of the great powers. Today, as it was the case of Bosnia and Herzegovina, it is a lack of political will of those big powers to resolve these conflicts, where civilians are the one suffering the most. I will never understand people who do not learn from the past, especially the tragic past. Apparently they are forgetting the universal ethical rule that happiness of one can never be build on the misfortune of other. But it’s not the first time that politics and morality have little in common. TOT: Your country practices a unique system of presidential democracy in which each of the three ethnic communities gets an eight-month term to represent and govern the country. a.) How far do you think this unique model of power-sharing has been successful in maintaining peace and harmony in the country? b.) What are the other steps that the government of Bosnia has taken to improve the democratic ambience in the country and ensure further representation of the communities in policymaking? Ambassador: I must remind you that the entire political, constitutional, legal, administrative and electoral system of Bosnia and Herzegovina is product of the Peace Agreement which was signed in November 1995. years in the U.S. military airport base the Right-Paterson at Dayton, Ohio and which is today known as the “Dayton Peace Agreement”. 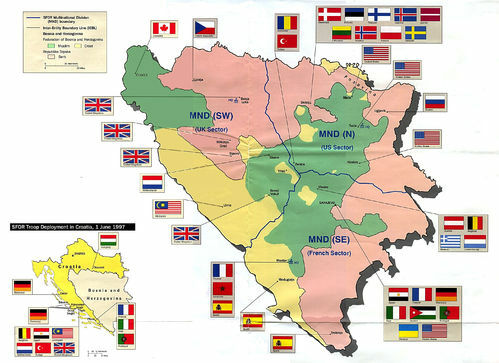 Since the day it was signed until today, during those 17 years it succeeded to establish and maintain peace in Bosnia. This was the biggest result but not the only one. We have built democratic institutions to guarantee respect for fundamental human rights and democratic values in the country. We have to admit that Bosnia has unique constitution in the world. Today, many people in the country and also in the international community believe that this agreement gave its maximum, and that it now in some ways prevents faster integration of country into the global political and economic trends. The biggest problem with Dayton Agreement is huge bureaucratic apparatus that could not be handled by many even more developed countries in the world. Besides being a big burden on the economic development of the country, it also makes states institutions dysfunctional. We are currently looking for solutions to this situation. Having in mind the sensitivity of the problem, in order to solve this, it will be necessary to provide full political consensus of all parties signatory to the Dayton Peace Agreement. TOT: The country is divided into two entities including the Republika Srpska and the Federation of Bosnia and Herzegovina, with the former enjoying a near sovereign structural framework of governance and diplomacy. a.) What are the areas where the national government plans for more integration of the two entities? b.) And does the presence of this unmanned/unarmed boundary line called IEBL (Inter-Entity Boundary Line) has still any relevance or importance in the lives of general people of the country? Ambassador: For the integration of the two entities the state government (Council of Ministers ) is in charge. Council of Ministers is consisting of nine ministries, out of which the Ministry of Foreign Affairs, Ministry of Security, Ministry of Defense, Ministry of Finance and Ministry of Justice are the most important. Of course, in addition to all this we also have cooperation on lower level of power, between the entity governments, that are correct and very successful. Boarder between the two entities has no effect on the life of the common man and it only has the administrative importance. These relationship between entities confirms that there is a will to build a better future of Bosnia and Herzegovina, state of two entities and one District, state of three constituent people, Bosniaks, Serbs and Croats. TOT: a.) The European Union is going through its worst economic downturn at the moment. How far has the crisis, which affected almost all major regional economies, affected Bosnia–Herzegovina which has the aspiration to become a part of the economic bloc? b.) What are the challenges being faced by the country at the moment? c.) How does Bosnia–Herzegovina see the future of the EU, with the downturn casting a shadow of doubt on its very practicability? Why does the country still wish to be a part of it in spite of the odds? Ambassador: Undoubtedly the poor economic conditions in the euro area had a strong negative impact on the economic development of countries in the region therefore in Bosnia as well. The biggest challenges that today the governments of the Western Balkans are facing is the economic crisis. It reflects the slower overall economic growth, in increasing poverty and unemployment rates, it reduced foreign investments and of course it affected the repayment of the total external debt that grows each year. My Government at the moment is taking all necessary measures in order to some extent alleviated the consequences of this economic crisis. Those measures are mainly reflected in the reduction of costs in the public sector, the regular payment of taxes, public works through the opening of foreign direct investment and the creation of a better business environment for the creation of small and medium-sized enterprises. Regardless of all deficiency, we see no alternative to the EU Integrations. Although the European Union is facing a lot of problems, we continue to believe that the value offered by the European model is far greater than the disadvantages that this community is facing nowadays, and we strongly believe that EU will overcome all those problems. TOT: The freedom of press has over the years become the major focus of many international organizations and some of them have raised their concerns about the situation in the Balkan countries as well. How will you rate the condition of press freedom in Bosnia–Herzegovina? Ambassador: When it comes to freedom of the press and media in Bosnia and Herzegovina, we can be proud that the establishment of a multi political party system brought freedom of media to high level. However it is different question whether these media or press is independent and whether they are professional in your work? It is a question that applies to each country. I believe that the countries that are extremely burdened by the economic crisis are also facing an unprofessional and dependent media. Given that the “media” also have to live out of something, meaning that they need some kind of income, often in times of crisis they must comply with certain political or economic lobbies, and therefore they work against the basic principles and codes of free journalism. In this circumstances they are even more contributing to crises. Reports of these media are generally accompanied by personal rather than general interests of society. Unfortunately, in my country the situation is not much better. But I am convinced that the online media revolution will change this attitude and encourage positive competition. Your example is the best proof of it, where with few resources one can defend universal values of journalism and create trust among readers. Once again I congratulate you on that. TOT: Bosnia is a country created and divided on ethnic lines and is currently being run from two capitals by two distinct ethnic governments. Add to these the recently formed multiethnic, decentralized enclave of Brčko District. Do you think that the two capital cities of Sarajevo and Banja Luka with the recent addition of the third one, with varying types and degrees of representation, are any hindrance in the way of development and policy reformation of the country? Ambassador: Allow me to correct you here. Bosnia and Herzegovina is an internationally recognized and sovereign state and as such there is only one capital city, and that is Sarajevo. Therefore there is no single reason for the rivalry between Sarajevo and Banja Luka, and Brcko frame embedded in the Dayton Peace Agreement. However, within the country we have two ongoing interconnected parallel processes of integration. One occurs in the internal (local) level, which is reflected in the cooperation of state and entity institutions that establish coordination mechanisms for negotiations with European partners and the other for the Euro-Atlantic integration, which are reflected in the fulfillment of all the conditions that result from these negotiations. This process, although it is sometimes slow, unstoppable is going toward his goal. TOT: The human rights situation in Bosnia-Herzegovina has been a constant concern for the international community and major regional groupings and progressive alliances. Can you please enlighten us on the existing HR situations in your country? And also, what steps did the government take to improve the condition of human rights and ensure individual freedom for all the citizens? Ambassador: When we want to talk about this important issue, we must always bear in mind the historical facts of the recent past that faced my country. The problem with this part of the world was, and still is, a problem of democracy. In the last hundred years the Balkans had no luck with democracy, or should we say that democracy had no luck with Balkans. Just a little more than two decades ago people in Bosnia and Herzegovina have experienced the roughest way of violations of human rights. In the past war in Bosnia human life worth very little. Tragedy struck wide areas of the former Yugoslavia, and Bosnia was the epicenter of this earthquake. The massive violations of human rights occurred in Bosnia. Even so, today I want to point out that Bosnia and Herzegovina as a signatory to all international and European conventions and declarations, that interpret the human rights principle reaffirms its strong commitment to obey the rule of law in regard of Human rights, not only in theory but also in practice. So far we have built almost all the democratic institutions that deal with the issue of human rights. In addition, one of the basic conditions for the integration of Bosnia into European and international associations is meeting all standards, which include respect for human rights. We have only one verdict made by the European Court of Human Rights in Strasbourg to implement. Once we do this we will automatically become a candidate for the European Union. It is the matter of date when will this issue be resolved. In a country that has a unique legal and political system, which is in the process of transition, burdened at the same time by wartime past as it was in Bosnia, highly affected by the economic crisis it is hard to expect that the human rights would be at high level. Human rights are of universal significance, and as such can and should be the subject of constant public criticism. The state of human rights in my country is not at the level where we would like it to be, but it is not behind the neighboring countries in the region eather. All the basic human rights are guaranteed by our constitution. In particular we are very satisfied when it comes to respect for basic political and economic rights and freedom of media. Unfortunately, I think that economic crisis, poverty and high unemployment rate in Bosnia are the main reason that the social rights are not at the level where it should be. There is still a large room for the improvement of each of these rights, and it is a daily task of law enforcement officials in BiH. TOT: The Republika Srpska practices a “regulatory guillotine” which means that it takes only a few days to register a business there, whereas in the Federation of Bosnia and Herzegovina it often takes several months to do so. Why this difference when both entities are being run in the light of a common policy framework? Ambassador: One of the main prerequisites for a quick economic recovery is a common and unified economic space within BiH. The differences that you’ve noticed must be deleted. This is all the result of the current situation in the country, and not the orientation of the policies implemented by the Council of Ministers. TOT: What is the message you would like to give to the global readership of The Oslo Times as a reprehensive of your country? 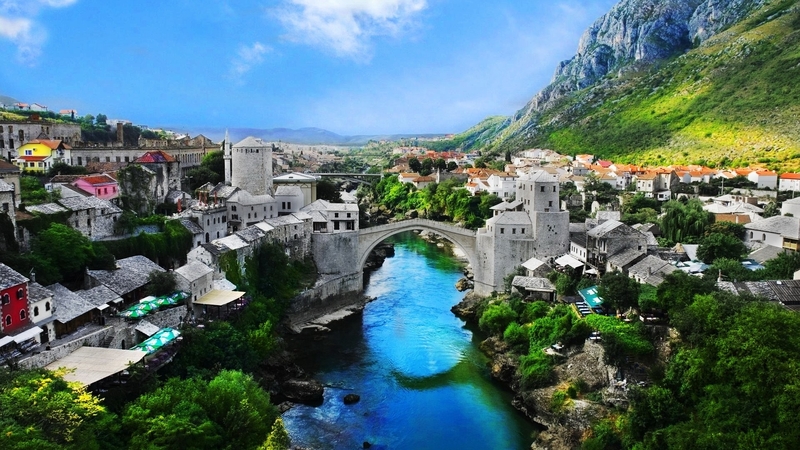 My country today is more and more attractive for tourists from all over the world and therefore I would like to call upon your readers to visit my country and to get first hand experience about Bosnia. 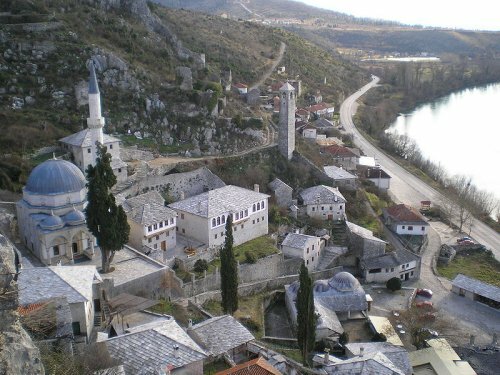 Bosnia is particularly rich with historical and cultural heritage; it has a beautiful nature and friendly people well known for their hospitality. When we talk about Bosnia and Herzegovina, it means that we are talking about two worlds – the East and the West. It is a country that for centuries is located at the crossroad of civilizations. Many say that Sarajevo is European Jerusalem in miniature. In the old part of city of Sarajevo, in a small area, just within 200 meters for five centuries stands old temples of four well known monotheistic religions: the Mosque, the Cathedral, an Orthodox church and a Synagogue. Today there are more and more of those who see Bosnia and Herzegovina as a modern democratic state, that is marching towards a better European future, and putting its recent tragic past behind. Welcome to Bosnia and Herzegovina! Thank you for sharing your views with ‘The Oslo Times’. We wish you and your country all the best in the days to come! The Oslo Times – All Rights Reserved.